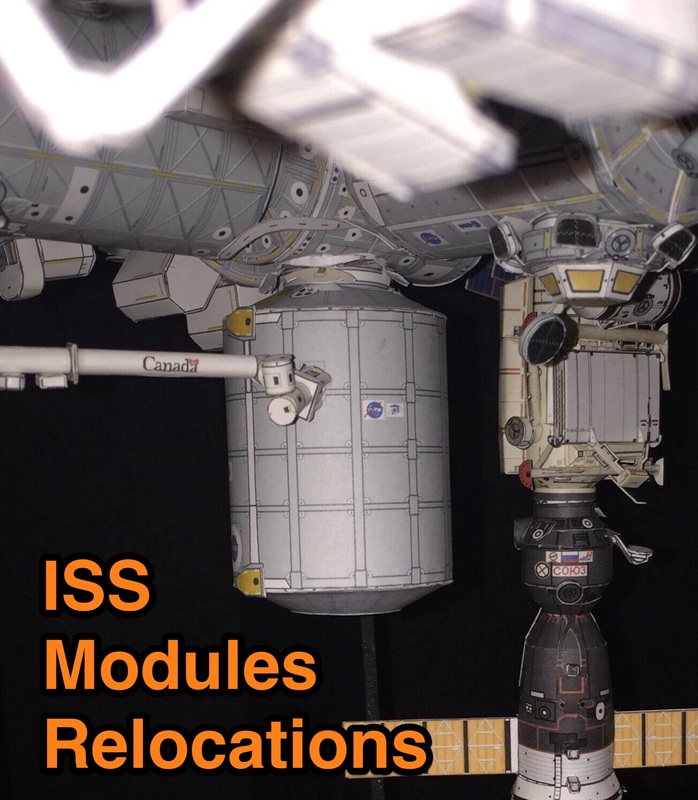 This page covers all the main ISS module relocations that happened after the ISS was completed. This will serve as a guide to all modelers who want to update their ISS paper model in 1:100 scale. Also, you will find the files for the new additions to the ISS.